The Scottish Government, Architecture & Design Scotland and NHS Health Scotland have today launched Scotland's Place Standard. 'The purpose of the Place Standard is to support the delivery of high quality places in Scotland and to maximise the potential of the physical and social environment in supporting health, wellbeing and a high quality of life. The Place Standard is a tool to evaluate the quality of a place. It can evaluate places that are well-established, undergoing change, or still being planned. The tool can also help users to identify their priorities to change. The Place Standard tool provides a simple framework to structure conversations about place. It allows you to think about the physical elements of a place (e.g. 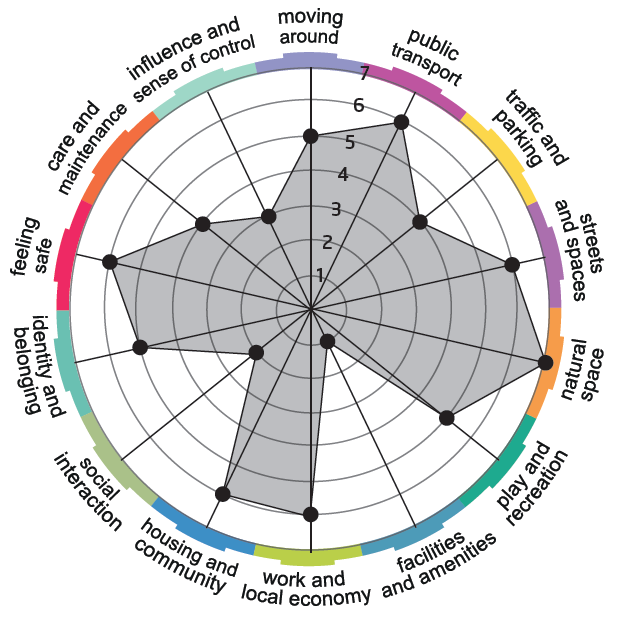 its buildings, spaces, and transport links) as well as the social aspects (e.g. whether people feel they have a say in decision making). The tool provides prompts for discussions, allowing you to consider all the elements of place in a methodical way. The tool pinpoints the assets of a place as well as areas where a place could improve.